The modern practice of medicine can easily become impersonal. We have all experienced the doctor appointment that started with waiting 45-minutes only to spend 7-minutes with the doctor. Dr. Debby, as she prefers to be addressed, is an exception to this experience. 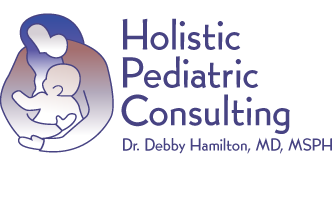 Although a Board Certified Pediatrician, Dr. Debby has pursued additional knowledge about nutrition, holistic alternatives and preventive medicine in overseeing the health of your children. When you are waiting for follow-up information, Dr. Debby is the person that calls you at home -- imagine that!